Whatever your taste in board games, Foam Brain games has you covered. With Expo 2013 finally coming to fruition next week, it's time to get excited and start planning your weekend. To that end, we've got a full lineup of games that Foam Brain Games is hosting in the Grand Ballroom from Friday through Sunday, October 4, 5, and 6. In addition to their scheduled gameplay, Foam Brain Games is also bringing along a huge collection of games to dole out to con-goers willing to offer up a Driver's License or some such while they're borrowing the game. Given the vastness of the collection, we can't list every game they'll have on offer here, but if you want it, they've probably got it. From the obscure to the mainstream, Foam Brain Games' library has hundreds of board games and a knowledgeable staff, ready to help you dive into the next big thing within your circle of friends. Of course, if you prefer, you can just puzzle out the rules on your own, or in conjunction with other con-goers. I know from experience that this is, at least for some games, half the fun! With hundreds of board games on offer, Foam Brain Games could have just called it a day, but instead, it's offering up daily events featuring some of your favorite board games. Check out the full schedule on the Expo site, or just scroll down! Our board game library is available for people to borrow a wide assortment of fun games, all weekend long! Your Escapist Expo badge is your ticket to free lending from our library of games. We have table signs to indicate that you're looking for more players, or looking for someone to help teach you a new game! Note: Please bring your Drivers License or other ID to be returned when games are checked back in. No experience necessary! Come learn how to play an assortment of fun board and card games, all weekend long. We've selected an assortment of popular, easy to learn, short games - perfect for spending some time between other events at Escapist Expo. We've listed some specific demos below, but are often happy to teach a wide variety of games. No experience necessary - come play the most popular Eurogame there is, Settlers of Catan. Prizes will be awarded to high ranking players. (Please bring a copy of the game if you have an extra). Who amongst you is a spy? Come join us The Resistance, a party game of determining who is loyal and who is a spy, and you can win a chance to be drawn as a character in an upcoming game. No experience necessary. Werewolf, also known as Mafia, is a social-party game of deception and manipulation. Players are villagers in an isolated 15th century village. But at night, some of these villagers secretly transform into blood-thirsty werewolves and devour a poor villager. It's up to the villagers to rid their village of these vile creatures by voting to hang the villagers they believe to secretly be werewolves. Beware! By day, the werewolves appear as villagers themselves and will attempt to provoke suspicion on the innocent while hiding their own lycanthropic secrets! Easy to play but difficult to master, Werewolf will test your ability to deceive or to see through deception. Come play the most depraved party game of our age. Similar to Apples to Apples, players choose which card or cards best answers a question or fills in blanks in a phrase. Unlike Apples to Apples, this game is 100% not appropriate for people of all ages. Our boardgame library is available for people to borrow a wide assortment of fun games, all weekend long! Your Escapist Expo badge is your ticket to free lending from our library of games. We have table signs to indicate that you're looking for more players, or looking for someone to help teach you a new game! Note: Please bring your Drivers License or other ID to be returned when games are checked back in. Foam Brain Games has recently started a series of convention champion events, and Escapist Expo is excited to host the event for King of Tokyo. Come win prizes and a FBG Championship Series trophy of your very own! Come play the exciting new board game version of Fluxx! No experience necessary. Krosmaster Arena is the 2v2 or 3v3 arena combat game set in the world of WofusDokfu. Come fight it out to the death in our super cute area for a chance to win promotional prizes! The tournament rules for Krosmaster are in progress, and will be made available when completed. 6pm - Sentinels of the Multiverse Team Challenge Learn how to play the hot cooperative superhero game Sentinels of the Multiverse. Bring friends, or find a team of superheroes at the event. Everyone who participates will receive cool limited edition promotional items. Netrunner is the hit Living Card game from Fantasy Flight Games. Bring decks and play for a chance to win promo cards and other prizes. Come play 7 Wonders - a drafting civilization building card game. No experience necessary. 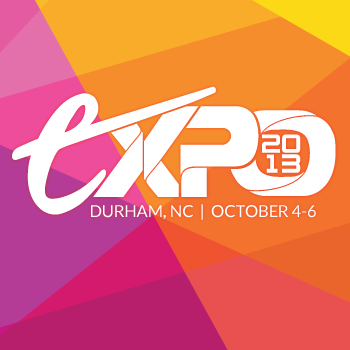 It may be too late to plan for travel, but if you're local, or even local-ish, you can register for Expo 2013 right here!